I'm back from a quick trip to Salt Lake City, Utah - my first time visiting and it was absolutely beautiful! Lots of greenery, charming homes on lush tree lined streets with white picket fences, amazing food and some of the nicest people I've ever met. I was there working so we didn't have much time to sight see, but did manage to squeeze in a couple hours in downtown Salt Lake City before heading to the airport. Now I'm looking forward to a relaxing weekend with my husband and son, who I missed like crazy! What are you up to this weekend? Enjoy and happy Friday! Two. A settee I had custom made for a client's kitchen nook. I'm beyond happy with the way it turned out! 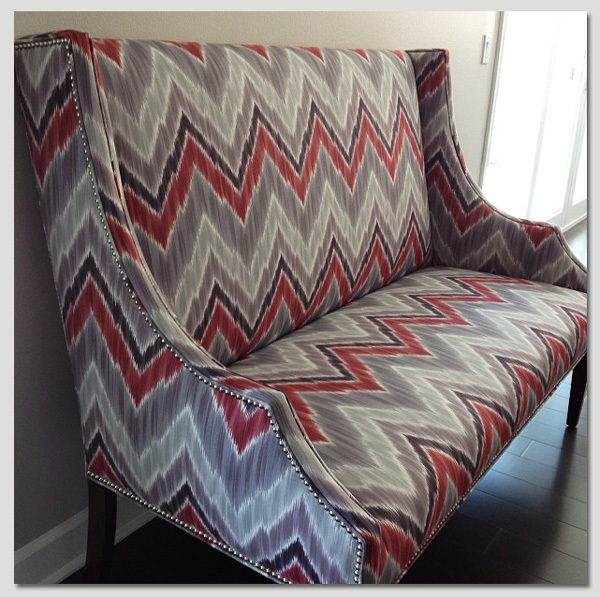 We used this Duralee fabric and knocked off the frame style of this settee from Horchow. Three. 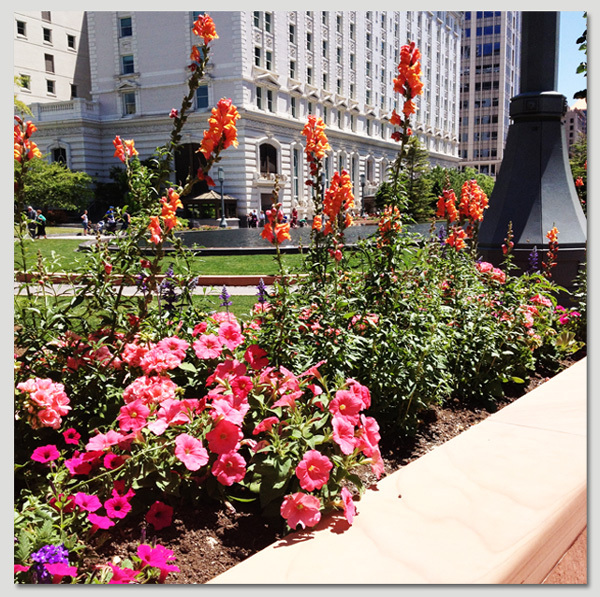 The grounds at Temple Square in downtown Salt Lake were bursting with thousands of colorful spring flowers. It made me want to make a trip to our local nursery and turn our balcony into a garden. Four. A vignette I styled for the kitchen of the model home I just installed. 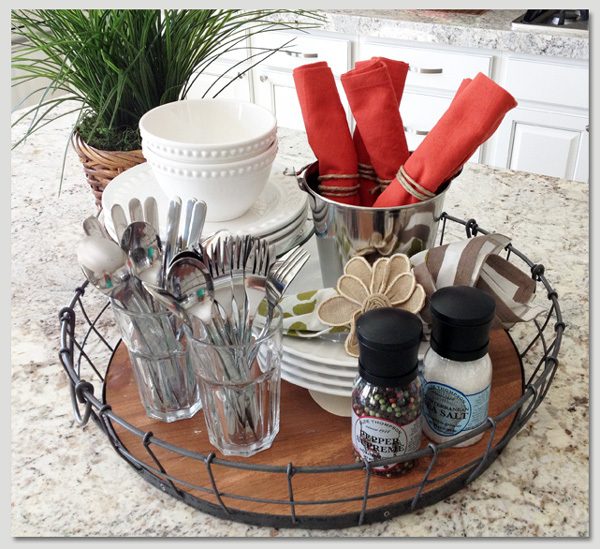 Found the awesome tray at Homegoods. I've never been to SLC, but I have heard that it is gorgeous and have it on my list of places to go!! 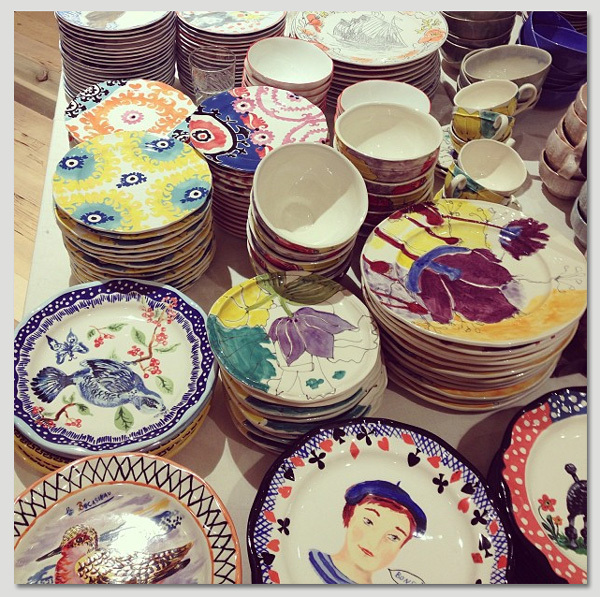 I love Anthropologie! They have the most unique items. I love those dishes, and think they add so much unique character to a dinnerware collection. 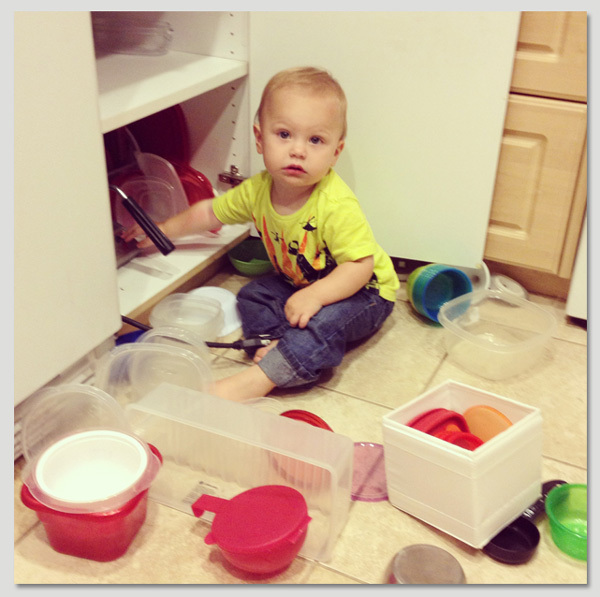 I might have to do the same :) Although, I am loving those white bowls in your 4th photo!! Gorgeous sette!! I have to say that I absolutely LOVE your blog! It's given me so much inspiration in my decorating adventures, and in my own posts for Doses of Design. Love all the photos you share. Love these photos! Those plates are gorgeous! I am wondering why the ad for "bloglovin" has a logo of such questionable taste... it does not represent well your blog or the image you seem to perpetuate, so I was just wondering if you had any control over that advertisement? Yucky picture. Anyway, I am new to your blog and can't wait to see what else you do. Thanks for sharing!